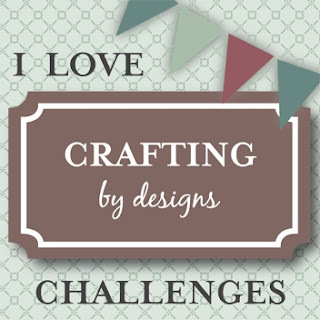 Hi everyone, Doris here - welcome to Crafting by Designs! Today some of our Design Team members want you to join us for a little blog skip where we take a look at our favorite seasons. I embossed the white cardstock with a Sizzix embossing folder and used some white embossing powder on a scrap piece of black cardstock layered on some red patterned paper, red ribbon, viola! Now for some great inspiration, please skip along to our Design Team's blogs and see some great projects from their favorite projects. Please stop back for our regular challenges starting Wednesday December 5 and play along with us! Welcome to the new home for Crafting by Designs! Welcome to the new home of Crafting by Designs! If you've just found us, we're a small group of crafters who have had a NING network group for a while and have decided to change our format and invite more of our crafty friends to join us. Every Wednesday one of our super talented Design Team Members will present a new challenge and you'll have a week to add your project either by linking it to your blog or by adding it to our brand new flickr group which can be found HERE. You can also join us on Facebook by clicking the Facebook image on the right and Pinterest. Most weeks we'll be playing just for the fun of it, but some weeks we may have a prize from one of our sponsors so we hope you'll stop by often and play along with us!! We're kicking off our new site this tomorrow, Friday November 30 with a little blog skip and hope you'll skip along with us - see you then!